From the folks who first brought us a stylish alternative to ultra-comfortable, ultra-lightweight, not-so-sylish Crocs now comes a versatile winter boot that would be a worthwhile investment for any member of the family. Native Shoes won us over with their lightweight, comfortable kicks styled as classic sneakers but made from a unique EVA material. The company’s styles are light as air, as comfortable as can be, and still look cool on a warm summer day. While most of the brand’s offerings lean towards spring and summer use, the new Jimmy boot gives fans something to wear during the colder winter months when perforated Chuck Taylor-style kicks simply won’t do. 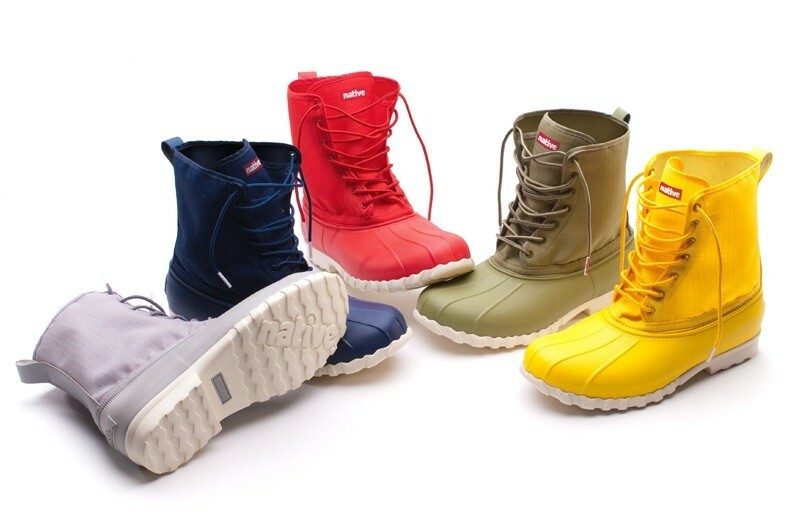 The Native Jimmy ($90) is styled after the classic duck boot that you might buy at L.L. Bean or Land’s End, but is redesigned with Native’s lightweight materials and signature playful colors. Typical duck boots tend to be on the heavier side of casual shoes, but Native’s version is made with the same lightweight EVA material that makes their other offerings so light. The Jimmy boot is fully waterproof, washable, anti-mircrobial, odor-resistant, shock-absorbant, and has a cozy micro-fleece lining to keep your feet toasty. If you need a pair of winter boots or just want a fun alternative to your more classic pair, we think these would make a great buy or a fun gift for anyone in the family come the holidays.